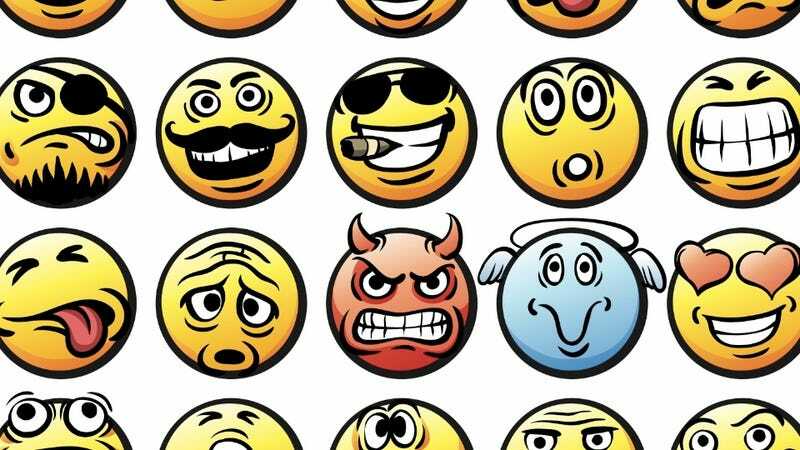 30 years ago this month, Professor Scott Fahlman of Carnegie Mellon University sent an email with the first ever sideways smiley face: "I propose the following character sequence for joke markers: :-) Read it sideways." He never expected emoticons to go global. But now, millions of people are unable to express their emotions without adding a :( to convey despair or a :) to convey "that thing I just typed was kinda bitchy but if I put a smiley face after it maybe you won't think so?" Fahlman, however, is unhappy with what he has spawned. "I think they are ugly," he told The Independent regarding more advanced emoticons, such as emojis, those Japanese icons your friends are always drunk texting you. "They ruin the challenge of trying to come up with a clever way to express emotions using standard keyboard characters." But Fahlman did admit he might just be biased. "Perhaps that's just because I invented the other kind," he conceded.